“Your Brain Runs Your Life. Your Voice Leads Your Company. Once a year, Poll Moussoulides and Terry Small bring to Ireland their unique brand of insightful humour and skills for accelerated learning to enhance the Leadership Communication abilities of Senior Management Teams. These annual seminars and in-house training programs are always sold out months ahead of time. Please Book Early. Vice President – Global Risk Management Company with a base in Ireland. May 2016 – In House Training and Public Courses – All dates filled. June 2017 – In House Training and Public Courses – All dates filled. A 1, 2 or 3 DAY FORMAT IS AVAILABLE AS A BESPOKE IN-HOUSE TRAINING PROGRAMME FOR TEAMS & ORGANISATIONS. In this incredibly informative, thought provoking and entertaining 2.5 hours, you will get a glimpse of the very latest research and insights from the world of communication, neuroscience, leading, learning and natural engagement. Intertwining their expertise and experience coaching and training 1000’s around the world Poll and Terry will show you techniques and introduce skills that will allow you to bring your leadership abilities to the very highest levels. The Brain has everything to do with who we are and what we do. Our Voice and our Physicality is what the outside world hears and sees. Leadership is all about using all three to influence who we are, what we do and how we successfully connect with others. Brain dysfunction is the #1 reason people fail work, school, and relationships. Your brain is the supercomputer that runs your life. When you look after your brain, the results are amazing. This session will give you the tools to boost your brain power, Improve your thinking, and improve your health. It is based on the latest cutting-edge neuroscience research. How thinking habits influence our actions, especially with problem solving and conflict resolution? 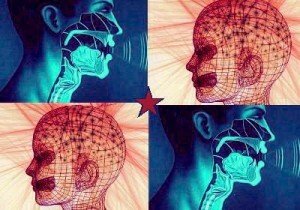 Ensure your brain and mouth are working together whenever you speak. Make communication more meaningful by changing 1 word. Use the dynamics of your natural voice, and become a more emotionally and vocally intelligent Leader. Take control of your physicality. Are your actions congruent with your message? Communicate to your audience’s brain and protect your credibility. Create powerful structures for your presentations & speeches that get amazing results. Use the right words, in the right place, at the right time, to get the best possible results. Avoid the 5 biggest mistakes that nearly every speaker falls into when making presentations. Do not miss these rare opportunities to hear Poll & Terry speak together at these unique events. That’s all we get to last a lifetime. and together they will work for you. Terry Small is a master presenter and learning skills specialist who has presented his ideas on the brain to over 205,000 people around the world. His knowledge, warmth, humour and dynamic presentation style have made him a much sought-after speaker at workshops and conferences. A native of Canada,Terry has been on CTV, BCTV, CKNW and Global and he has been featured in every Canadian major newspaper. Terry is listed in Nationwide Register’s Who’s Who in Executives and Businesses, and believes that anyone can learn how to learn easier, better, faster. His clients include IBM, Ford, The Government of Canada, Bayer, Bosch, IMD, ECIS, Royal Canadian Mounted Police, Canadian Dept. of National Defence, and countless others. Terry’s philosophy is simple,”Learning to learn is the most important skill a person can acquire. Knowledge is power.” His wealth of teaching experience and extensive involvement in applied neuroscience, leadership, and accelerated learning make him an outstanding resource to the business community. 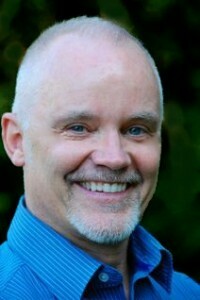 Terry lives in Vancouver and is a frequent lecturer at Simon Fraser University and the University of British Columbia. Recently Terry has been invited to speak and share his knowledge in many countries including China, India, Japan, Brazil, France, Sweden, United States, Germany, Switzerland, and Greece. Poll Moussoulides is Ireland’s leading Voice Coach and one of Europe’s most sought after Personal Performance & Communications Specialists. His companies, Voice Coach Training & Voice Matters International, create and provide in-house training to organisations in the Corporate, Banking, Political and Broadcast sectors throughout Europe, the Middle East and the United States. Since 1991, Poll has trained hundreds of Journalists and Presenters in News, Sport, Current Affairs and Lifestyle programs who have been seen and heard on RTE, TV3, BBC, TnaG, UTV, Newstalk, Sky Sports & CNN. By adapting the principles of Actor training, he has created a practical and wholly attainable method for all to communicate with greater physical confidence and vocal expertise. Over the last 25 years Poll has been Voice Coach on plays in all of Ireland’s major Theatres and many in the UK. He has coached hundreds of Actors, from absolute beginners to multi Oscar award winners, on over 55 Film and TV productions. From 1991-2008 he delivered key modules for communication and leadership courses in the Irish Management Institute and later at the Edinburgh Institute of Leadership and Management Practise. Poll currently delivers Voice of Leadership modules for the Smurfit Business School MBA, and in 2009 was asked to join the team of experts who speak at the top rated IMD business school in Lausanne, Switzerland. In 2006 Poll founded the Irish Voice Association, and is also a founding member of the Irish Film & Television Academy (ITFA). 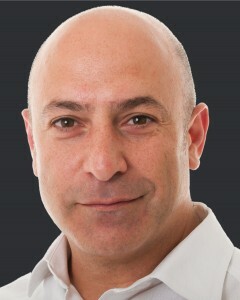 He has been a guest Communications Expert on many TV & Radio programs. These courses and public seminars are always sold out quickly and many hundreds leave it too late and are disappointed. Please call or email our office and we will be delighted to talk to you about your organisations specific needs. Discover 17 Secrets of Smart Students, and how you can help them to learn quicker, better, faster. Parents & Their Children, Teachers, Youth Group Leaders – Communicate, Listen & Learn Together. Date: Please see details in section to the left.